Bathroom access has been a worrisome issue for the American LGBT community lately. But at New York City’s Pride parade on Sunday, a MasterCard-sponsored bathroom was open to anyone with a heartbeat. McCann XBC built the portable lavatory and equipped it with a fingerprint sensor and pulse monitor. When parade attendees placed their hands on the sensor, LED lights flashed in rhythm with their hearts, which opened a custom-built Bluetooth-controlled lock. 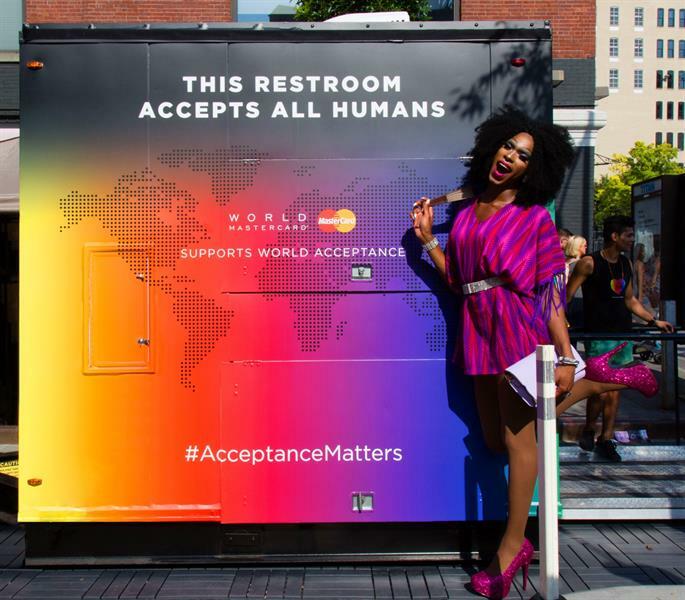 The bathroom was attached to the MasterCard #AcceptanceMatters float and drew accoladesand attention from plenty of passersby.